This week, we are honored to announce that two of our projects were awarded historic preservation awards from the San Antonio Conservation Society! 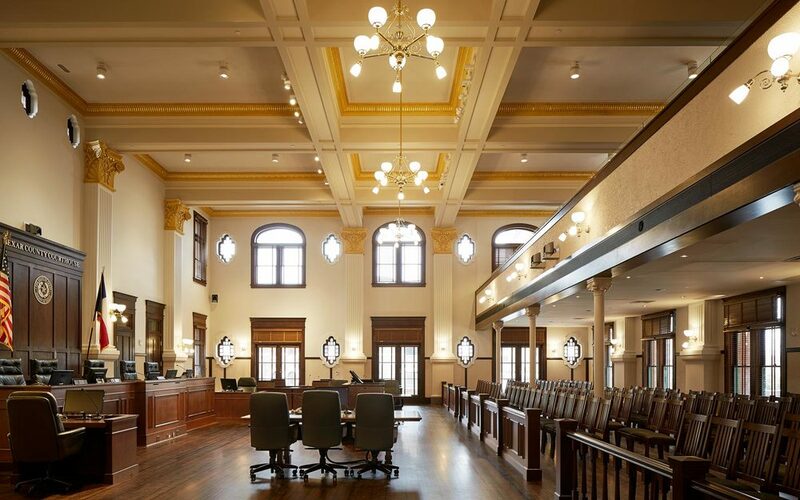 The two projects are the Bexar County Commissioner's Courtroom Restoration as well as the Chisholm Trail Heritage Museum project. This year the Conservation Society will hold their Awards Presentation and Gala on Wednesday, the 23rd at the historic St. Anthony Hotel. For more pictures and information on each project, feel free to click on either of the images below. We would like to thank the Conservation Society for these two great honors as they are two wonderful projects where the owners were just as enthusiastic about the restoration efforts throughout the process as we were. "The purpose of the Historic Preservation Awards is to honor those who have reached the highest level of accomplishment in historic preservation and to recognize the quality of preservation work achieved in the built environment."